In the past, the most common material used for stringed instruments was what came to be known as "catgut". It was used in the stringing of harps, lutes, guitar, violins and other stringed instruments, as well as older marching snare drums. This material is made from the intestinal lining of cattle and sheep. Historically both cattle (cows and bulls) and sheep were referred to as cattle. Hence one possible origin of the word catgut is that it is an abbreviation of the term cattlegut. Another origin may be from folk etymology whereby the term kitgut (the word kit meaning fiddle) may have been confused with another use of the word kit, that being for "little cat". Bass strings were also made with catgut, although here the catgut was wound around a core made of silk thread. The use of catgut for musical instruments is referred to in Greek Mythology : Hermes the son of Zeus made a lyre by disembowelling a tortoise, then laying cow-skin over the shell for a sound board, and finally adding seven strings made from the intestines of sheep. 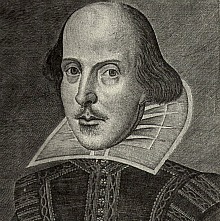 In his play Much Ado About Nothing, William Shakespeare refers to the use of catgut to make music, and the rapturous result in it's listeners : One of the characters says "Is it not strange that sheep's guts should hale souls out of men's bodies?". The thinnest part of the sheep's intestine is used for catgut, it is also known as "saitling" in German from the word "saiten" meaning strings. The intestines are cleaned and steeped in water. The external membrane is then scraped off with a blunt knife. After being steeped in alkaline lye they are then smoothed and equalized by drawing out. The fumes from burning sulphur are then used to sanitize the gut, after which they are dyed and sorted into sizes. Finally various numbers of strands are twisted together to form cords, the number of strands being dependant on the use of the catgut. Besides musical strings, other uses of catgut include tennis racquet strings, and also sutures for surgical work. Strings with a metal winding first appeared in 1659 and by the end of that century they were often used on the lower strings on bass instruments, as well as french violins. Undoubtably these new wound strings played an important part in guitar evolution. For centuries the guitar had featured strings set in pairs, or courses. 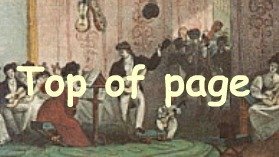 In the 18th century guitarists began using single strings as Giacomo Merchi mentions in his Traité des Agrèmens de la musique executés sur la Guitarre published in 1777 : I am taking advantage of this foreword to say a word about the way to string the guitar with single strings. It is very easy now to find a great number of true strings. The single strings are very easy to tune and pluck cleanly. 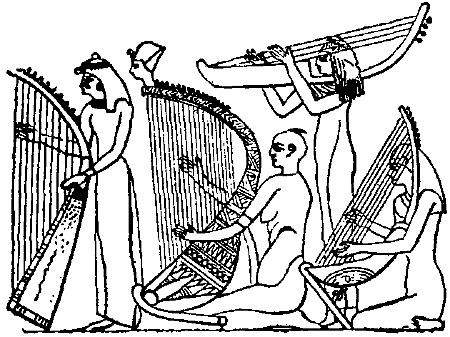 They make a pure sound, strong and mellow, and approach that of a harp, especially if one uses thicker strings. During World War II there was a high demand for surgical sutures made form catgut, and as a consequence there was a shortage of guitar strings made from this material. During a concert tour of the United States Andrés Segovia had difficulty finding his favourite catgut Pirastro strings. He mentioned this problem at a party for foreign diplomats, one of the officials in attendance, a General Lindeman of the British Embassy, later obtained some nylon strings from some members of the Du Pont family and presented these to the Maestro. Segovia found the strings were perfectly adequate other than possessing a metallic timbre which he hoped could be eliminated. 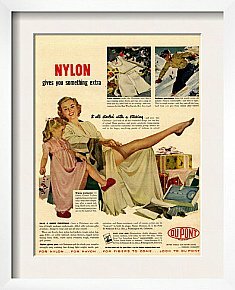 An instrument maker from New York City, Albert Augustine, was the first to use nylon as a material for guitar strings. His wife Rose Augustine remembered he had difficulty finding source materials during the war, and experimented with the new material after he chanced upon some nylon line in an army surplus store in Greenwich Village. Subsequently Augustine approached the Du Pont company to assist him in production of the new strings, but the company was unconvinced that guitarists would accept nylon's sonic characteristics. 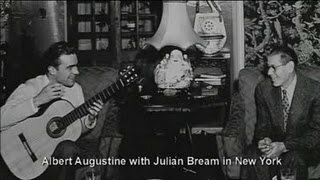 Segovia and Augustine finally were introduced by their mutual friend Vladimir Bobri, the editor of Guitar Review. Together they decided to pursue the development of nylon guitar strings. Du Pont, skeptical of the idea, agreed to supply the nylon if Augustine engaged in the actual development and production of the strings. After three years of development Du Pont was won over, and Augustine classical guitar strings were first commercially manufactured in 1948, this in conjunction with Olinto Mari, President of E.& O. Mari/La Bella Strings at their factory in Long Island City, New York. The first Augustine strings were only treble strings, metal wound strings using a nylon core were found to be problematic. However the intrepid Augustine succeeded in producing these as well after experimenting with various types of metal, and employing smoothing and polishing techniques. Interestingly the Brazilian guitarist Olga Coelho is often quoted as having been the first to use nylon strings on stage in a 1944 performance in New York. As she was living with Andrés Segovia at the time we can surmise that she too was involved in the strings' development.